Paul Jay Cohen is one of the founding partners of Cohen, Willwerth & Marraccini. He joined with Robert J. Willwerth in 1998 to develop an exciting new firm that would specialize in the areas of real estate, landlord-tenant law, condominium and commercial litigation. As a licensed Real Estate Broker himself, Mr. Cohen has positioned himself as a truly unique real estate law expert in the industry. Mr. Cohen comes from a strong educational background, having earned a B.A. degree from American University in 1980 and then a J.D. degree from the Delaware Law School of Widener University in 1983. He continued his education and became a licensed real estate broker in 1991. In addition, Mr. Cohen started training as a pilot in 1994 and became a licensed pilot in 1995, received his instrument rating in 1999 and became a commercial pilot in 2000. Mr. Cohen has also had an array of legal and real estate experience prior to starting Cohen, Willwerth & Marraccini. He was in the private practice of law from 1985 to 1994 when he headed the firm of Paul Jay Cohen and Associates. He started out in general practice, but quickly began to concentrate in the areas of real estate, landlord-tenant, condominium and commercial litigation. He was then a senior partner in the firm of Cohen and Ross from 1994-1998, where he concentrated in commercial litigation, collections, creditors’ rights, real estate, condominium and landlord-tenant law. Mr. Cohen has used his legal expertise to aid several business projects as well. In 2003 he became a partner in a real estate development company, VRAP L.L.C., which manages properties in Philadelphia. In 1997 he established a partnership to own and manage horses in the Delaware Valley, and in 1995 he founded Cohen Aviation to purchase and lease airplanes after obtaining his private pilot’s license. In addition to his private pursuits, Mr. Cohen has also maintained an interest in politics and public policy. From 1978 to 1979 he served as a Congressional Intern in Washington, D.C. to the Honorable Joshua Eilberg. From 1980 to 1985 he served as a summer intern and law clerk to the Honorable Edward Rosenwald at the Court of Common Pleas in Philadelphia County. He also became an Associate Editor to the Philadelphia County Reporter, which is the official publication of Opinions written by Judges of the Philadelphia Court of Common Pleas. He served as an editor until 1997 and has helped the Reporter become an honorable and established publication. Mr. Cohen is also a prominent government advocate for the Pennsylvania Apartment Association. He is a board member of the Association and currently Co-Chairs the Legislative Committee. He has helped to write, support and alter several important pieces of legislation and is currently using his expertise to re-write the entire Pennsylvania Landlord & Tenant Act and Federal Uniform Residential Landlord and Tenant Act. 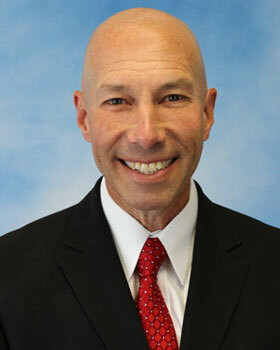 Mr. Cohen also serves as counsel for the Greater Philadelphia Association of Realtors. When he is not working, Mr. Cohen enjoys pursuing a plethora of other activities. He lives at home with his wife and has two children, and he enjoys flying, skiing, and golfing. He has also organized several skydiving trips which have become a Cohen, Willwerth & Marraccini tradition. He is also known for being the Guinness Book of World Records holder for the largest penny pyramid.